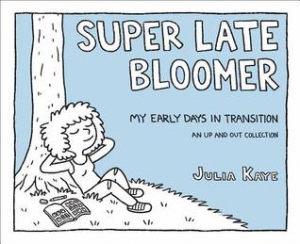 Julia’s adventure follows her during the first year of her transition. Each comic panel gives you a glimpse into her day that goes at a leisurely pace but nonetheless draws you in. The black and white artwork style is charming and a bit cartoony, but done in a way that adds to the reflective and heartwarming tone of the story. 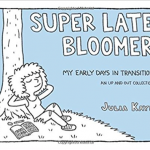 A new take on gender transition with minimal text that is easy to understand and informational about a topic many might not have a lot of experience with. 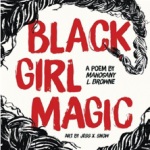 For teens reaching out for more information through books like Susan Kuklin’s Beyond Magenta or Being Jazz by Jazz Jennings, this book will inspire and provide insight into the subject through a unique format and voice. 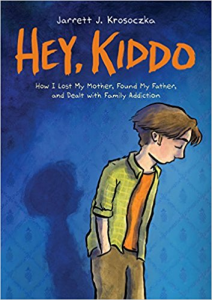 Graphic novel memoir of a boy who grows up in a family overcome with addiction. Before he was the creator of Lunch Lady, Jarrett J. Krosoczka just a boy trying to understand why his mother loved heroin more than him. Jarrett tells the story of his relationship with his mother, the ups and downs of living with his grandparents and their own addictions, and how he escaped everything through the power of art and comics. Told from birth until high school graduation, this graphic novel memoir doesn’t put a filter over life living with addiction. Krosoczka writes and illustrates a novel from the heart and isn’t afraid to put in the good, the bad, and the ugly in his life story to teens and adults. While the story is difficult to get through, Krosoczka makes the story more accessible with its graphic novel format. Illustrations are grey and dark with hints of orange throughout. Put in the hands of teens who are watching Showtime’s Shameless or NBC’s This is Us. Pair with the books Gabi, a Girl in Pieces by Isabel Quintero and The Spectacular Now by Tim Tharp. Frankie had dreams of fashion school and of spending her days learning about design and perusing the latest fashion magazines while leisurely sipping an iced latte. She never dreamed that she would be sent to military school. After a major screw-up at school, her parents decide that she needs a wake-up call in the form of early morning physical training, classes on strategy, and, worst of all, uniforms. 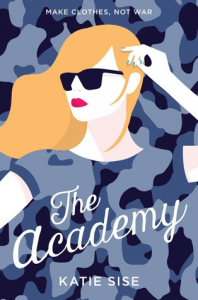 Frankie is slow to adapt to military life, but with the help of her roommate Joni and her very cute new friend Jack she learns that perhaps military school isn’t completely awful and that she might have what it takes after all. 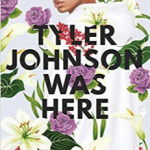 This book is funny and sweet, with just a touch of tame romance. Readers will like Frankie as a main character and sympathize with her as she adjusts to military life, although sometimes she can be so over the top it takes away from her likeability. Joni and Jack also provide more diversity to the cast of characters. Joni is an orphan who is aspiring to a future military career. Jack is deaf and requires cochlear implants to hear, therefore making him ineligible to serve in the military, but he still wishes to support the military through becoming a war reporter. For teens who are from military families or aspire to be in the military this is a great pick. 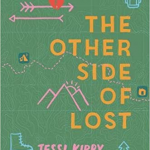 For anyone familiar with Disney Channel Original Movies from the early 2000s this book sounds like a great companion to Cadet Kelly, which is also about a fashionista teen girl who attends military school against her will. For a more contemporary pick, teens who enjoy the CW show Valor would enjoy the militaristic aspects of this book. This compendium of critters is a treasure trove of eye-catching photographs and strange-but-true facts about some of the most bizarre and deadly animals on the planet. 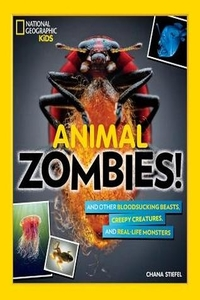 Covering such topics as zombies, vampires, and ghosts, Animal Zombies! debunks myths about misunderstood animals. Animal lovers, fact fiends, and horror addicts will all find something to enjoy in this book. Movie buffs will also appreciate the exploration of how these animals inspired famous monsters like Dracula, the Wolf Man, and the kraken. Fans of any fact or record book, such as the Guiness Book of World Records or fellow Quick Pick nominee Uncle John’s Top 10 of Everything will snap this one up.